Margie Ray of Aztec went to be with our Lord and Savior April 14, 2019. She was born in Placid, Texas July 17, 1920 to Joseph and Edith Parker along with twin sister Ruth. She married Rankin Ray May 20, 1939 in Henderson, Kentucky. They moved to Aztec from Andrews, Texas in 1957 to finish their journey. Margie was very active in her church, being noted for her baking of the cakes. Her family was her number one priority. 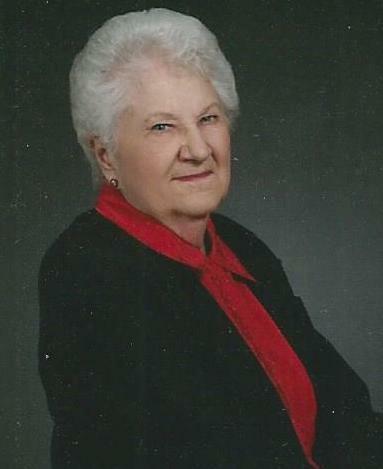 She loved to bake, go fishing and play Skip-Bo. She is survived by daughters; Belinda King of Oregon, Pat West (Jim) of Aztec and daughter-in-law Mary Ann Ray of Nebraska. She had 4 grandchildren; Tyna Adams (Joe) of Alabama, James Ray of Texas, Lyn Nelson of Las Cruces and Larry West (Trinity) of Washington. She is also survived by nine great-grandchildren, one great- great grandson, her special nieces and nephews and dear friends Linn and Tweetie Blancett. She was preceded in death by her husband Rankin Ray, 2002, her son Mike Ray, 2010, son-in-law Bud King, 1994, great-grandson Gage West, 1998, great-great granddaughter Blayne Rascon, 2017, her parents, 4 brothers and three sisters. Memorial services will be held April 25, 2019 at First Methodist Church in Aztec at 10:00 AM. In lieu of flowers please send a donation in her name to Hospice or Charity of your choice. Margie’s care is entrusted to Cope Memorial Chapel of Aztec.